(VEN) - The Vietnamese Goods and Tourism Week in Thailand 2018 was held recently for the third year at the Central World Plaza, one of the largest shopping centers in Bangkok, Thailand. 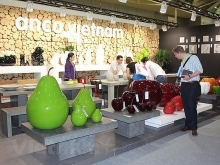 The event gathered more than 50 companies, introducing a variety of Vietnamese goods, as well as tourism products and services, in an exhibition area of nearly 1,000sq.m. Exhibits included potential export products, such as processed fruit, coffee, instant noodles, and specialties of Vietnamese localities, such as mien dong (vermicelli made of cassava), winter mushrooms, 3D postcards and handicrafts. Along with introducing Vietnamese goods, this year’s event also aimed at promoting Vietnam’s tourism, with support of the Vietnam National Administration of Tourism. The Ministry of Industry and Trade has worked with Central Group Vietnam, the representative of the major Thai retailer Central Group, to carry out market surveys and provide domestic businesses with training to help them create suitable products for export to Thailand, Deputy Minister of Industry and Trade Do Thang Hai said. 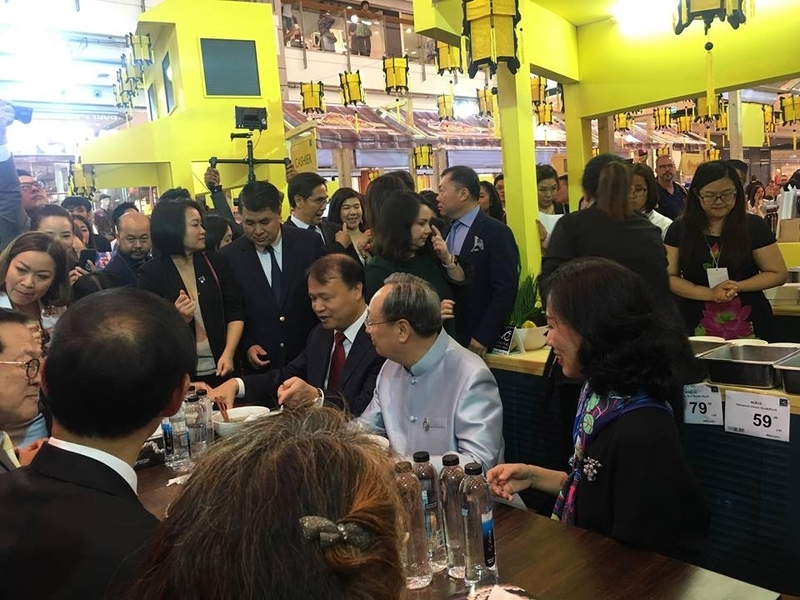 During his recent visit to Vietnam, Thai Minister of Commerce Sontirat Sontijirawong visited Big C Thang Long in Hanoi, a supermarket chain owned by Central Group. He affirmed that in 42 years of diplomatic ties, Vietnam and Thailand have promoted cooperation in a wide range of fields, including trade, investment, culture, education and tourism. Trade in goods and services has grown steadily, with Thai private companies, including Central Group, investing in Vietnam and importing various kinds of Vietnamese goods for sale in Thailand. These efforts have contributed to promoting Vietnam’s image among Thai people and boosting the circulation of goods between the two countries. Tourism development currently interests both governments. According to the Thai Minister of Commerce, the number of Thai tourists to Vietnam in the early months of 2018 grew 9.2 percent compared with the same period last year. The Vietnamese tourism sector seeks to attract 17-20 million foreign visitors by 2020. More than one million Vietnamese tourists visit Thailand each year and this number has grown annually. Tourism development has contributed significantly to economic growth in both countries. The Vietnamese Goods and Tourism Week in Thailand was expected to contribute to boosting bilateral trade and tourism relations, the Thai Minister of Commerce said. The event brought together many well-known travel and airline firms, such as Vietjet Air, Thai Airways, Air Asia, Bangkok Airways, Centara Hotels & Resorts, Accor Group, Asia Holidays by Phoenix Vogage and Asiana Travel. It offered Vietnamese travel companies a chance to meet Thai tourists and explore their demands, as well as to introduce attractive destinations in Vietnam.